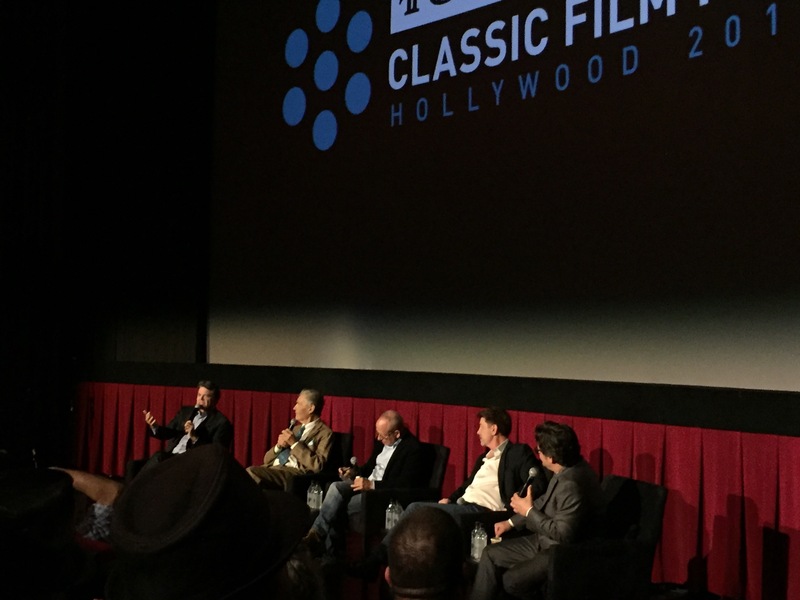 The 8th annual TCM Classic Film Festival has come and gone. I can’t believe it went by so quickly! I was immersed with nothing but classic film these past four days that I didn’t even know some of the headlines of the weekend including the passing of beloved comic Don Rickles. I found out about that on my way to a screening when I saw a memorial growing on his Hollywood Walk of Fame star. Over the course of the festival I saw 13 films, red carpet arrivals, and two special presentations. Turner Classic Movies does so much to keep classic films alive and make them accessible to audiences of all ages. I saw people of all races, genders, and ages bonding over their shared passion of film. This year’s theme was “Make ‘Em Laugh: A celebration of comedy in the movies” and the timing could not be any more perfect. As current events continue to anger and disappoint many of us with each passing day, this was a welcomed escape. Rare films were also screened during the festival from different genres and time periods including Lady Sings the Blues, Red Headed Woman, Panique, and of course, the nitrate prints! There are so many things to talk about but for now, I’d like to share some of my favorite memories of the weekend. In the days leading up to the festival I prepared myself by packing snacks, a blanket, a poncho, and comfortable shoes, essentially the works for four days running on a lot of excitement but very little sleep. However, nothing could have prepared me for the emotional experience of sharing a theater with hundreds who love something you hold very close to your heart. I’ve written before on how I experienced bullying in my youth because of my love of classic movies. I often watch these films alone and I never thought about how isolating that can be. The first film I saw was the 1934 version of Alfred Hitchcock’s The Man Who Knew Too Much on Thursday night. There was already excitement about this because it was being presented on nitrate film stock. But that’s not all. A few hours before the film was scheduled to start, it was announced that Martin Scorsese would be on hand to present. 10-year-old Diana’s heart burst in that moment. Before watching any of his films, I knew of Scorsese because of his film preservation work. He always appeared as the main talking head on this subject and his passion made me aware of the fact that so many films of cinema’s earliest years are lost and the importance of preserving them. I was so inspired by him that I, myself, seriously considered going to school for this only to find out programs didn’t exist at the time. Seeing him talk about nitrate in the same room made me well up. It was a full circle moment in a sense. I just could not believe I am at a place in my life where this is possible. During the screening of The Man Who Knew Too Much, people clapped when the film’s title appeared, when they saw the names of the cast, and of course Alfred Hitchcock. I wasn’t expecting this and didn’t know this is a common thing that happens at each screening. I’ve been at films where people have clapped at the end but that has been rare and in films I don’t believe deserve it. It actually happened during the wreck that was Jurassic World! But for an audience to show its appreciation for a lesser known Hitchcock classic, I WAS ALL ABOUT IT! I’m already an emotional person. Heck, Saul Bass’ end titles of West Side Story never fail to turn me into a puddle. It’s overwhelming to love something so much that brings this reaction out of you. But to know that hundreds of others feel the same way and you are united by this powerful force is just a beautiful show of the human condition. This is the power of film. The ability to get lost in art and connect with people you don’t even know. One of my favorite screenings was The Palm Beach Story in the TCL IMAX Theater. The Palm Beach Story is one of my favorite films and I think Mary Astor steals it from everyone involved. The IMAX is one of the biggest theaters holding 1,125 people and a few of them were members of Astor’s own family. They were recognized by author Cari Beauchamp before the film. They stood up and we cheered and applauded. When Astor makes her first appearance in the film which happens more than 45 minutes in, the crowd roared with applause. During production of this film Astor did not feel comfortable with her fast-paced dialogue and snooty inflections but for anyone who has watched this film before knows, her hard work paid off in a comedic performance that I consider one of the best. To see so many people applaud her with members of her family there was such a sweet moment. Because this was my first festival, I was overly enthusiastic and wanted to experience as much of the festival as I could—that even included the Backlot Trivia Tournament. I love being a part of the TCM Backlot. Yacov Freedman has done a great job cultivating a community that adds more to the TCM fan experience. 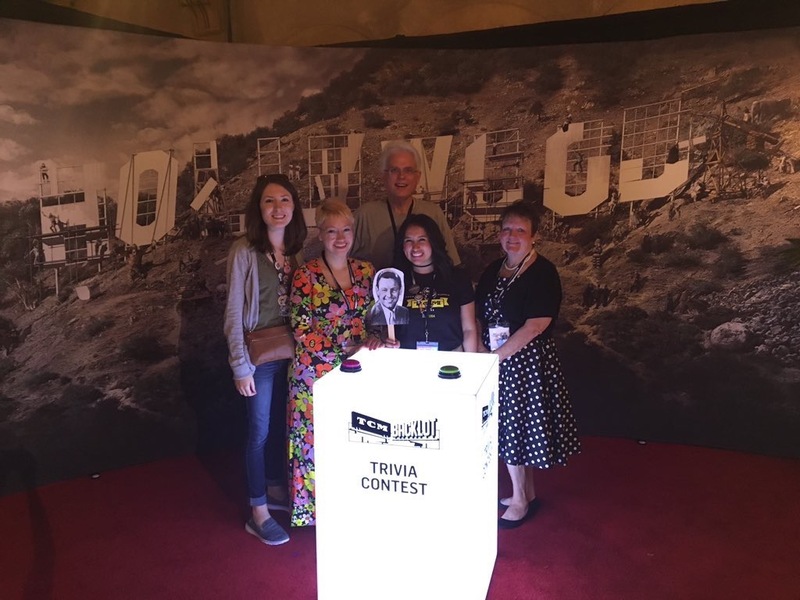 In the Facebook group, “Going to the TCM Classic Film Festival,” I put a call out to see if anyone I know or didn’t know was interested in forming a team. I was able to rally two bloggers I adore on Twitter and two people I’ve never met before. I had no idea what to expect but we instantly bonded. Our trivia team’s name was The Holden Girls (and Dave) because we weren’t anticipating a male to join us but he was all in. I ended up making everyone special buttons and created a William Holden ‘fan’ (a photo of him on a stick with one side having him smiling for answers we got right and another photo of him upset for answers we got wrong). We won the first round and went onto the semi-final where we ended up losing but there were no hard feelings as a good fight was put on. Even though our run in the tournament was over, each of us had four new friends. 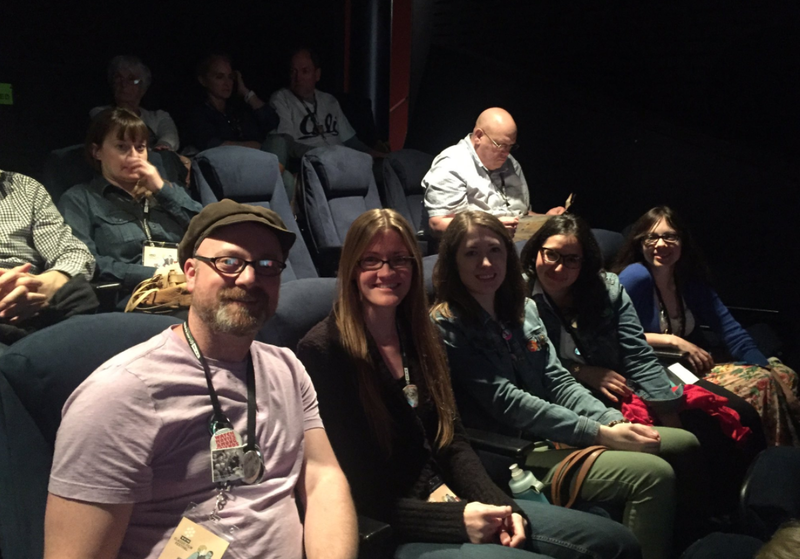 We all kept running into each other at various screenings and we might even reunite next year. It felt like it was fate that my first TCMFF featured not one—but three William Holden films and ones I consider his best to boot. I was lucky enough to see each of the films: Born Yesterday, Stalag 17, and The Bridge on the River Kwai. I loved seeing these films on the big screen and feeling the love the audience has for Holden. The William Holden ‘fan’ lasted the entire festival. For years I’ve been told if you ever go to the Turner Classic Movies Classic Film Festival, make it to a midnight movie. I love all movies and don’t discriminate when it comes to ‘so bad it’s good’ films. This year’s midnight film was Zardoz, the Sean Connery film where he wears a red mankini. I’ve been aware of this meme-able image for quite some time but I never actually read up on the film. I had no idea what this film is about going into and after watching it I can honestly say I still don’t know what this film is about. 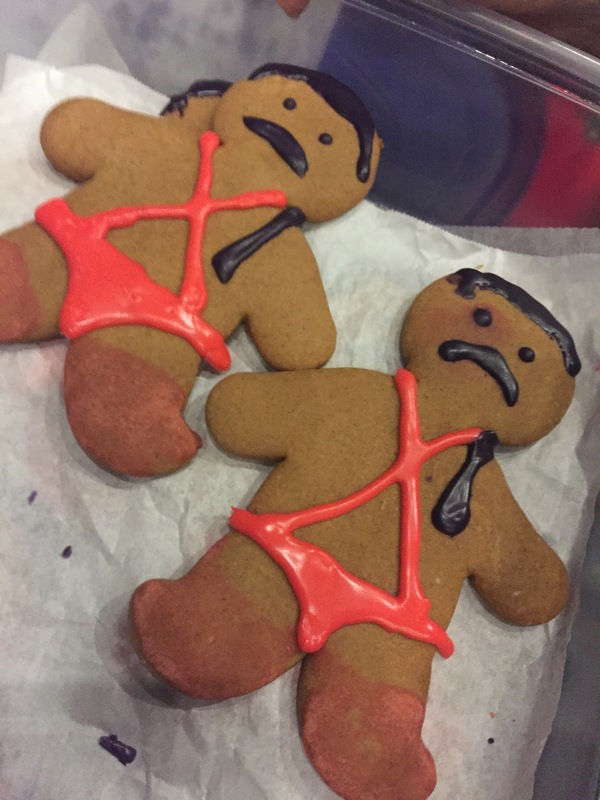 There was a lot of excitement for this one that a group from San Diego made Zardoz-themed cookies for the screening. Watching the film started out with a lot of laughs but as it went on I think the weight of the day got to us because I could feel that everyone just wanted it to be over. It wasn’t the most pleasant train wreck to watch, in my opinion, it was just a train wreck. When the house lights came on, everyone in my row looked so confused and I still haven’t been able to make sense of it. However, I’m glad I went! I survived my first TCMFF midnight movie and feel like I earned some sort of right of passage here. John Michael Higgins! Fred Willard! Bob Balaban! Jim Piddock! All four lovely actors were on hand to introduce Best in Show, one of my favorite comedies. Best in Show was probably the most recent film shown at TCMFF. I thought it was a perfect choice as it has been so influential to comedy for its mockumentary style and wry humor. The cast was just as funny during a Q&A before the screening as they were in the film. There was a great sense of camaraderie between all four men and they shared some great stories about the film’s production. The Major and the Minor starring Ginger Rogers and Ray Milland is one of my favorite comedies. Its plot is unbelievable and could never happen in real life but the charming chemistry between the two leads sells it. When I heard Lady in the Dark would be shown on nitrate, I knew I had to go to see this reunion. The film was made a few years after and I was excited to see if Rogers and Milland still had the magic. Unfortunately, Lady in the Dark is one of the most disappointing films I’ve ever seen. It starts off promising with Rogers as a successful head of a magazine. I originally thought, “Ginger Rogers is portraying a magazine executive in the 1940s and Ray Milland works for her, how progressive!” This film is actually one of the most insulting and misogynistic films I’ve ever sat through. Milland is a complete jerk as a lower level employee who desperately wants Rogers’ position because he feels he deserves it and shouldn’t have to work for a woman. Normally sentiment like this is implied in classic cinema but in this film, it’s blatantly stated through disturbing dialogue. Milland’s Welsh charm disappears completely and he has no redeeming qualities which makes it a difficult watch. However, this film was presented in nitrate for a reason: it’s beautifully photographed. A rich Technicolor palette gives way to some dazzling (albeit bizarre) dream sequences featuring some frightening bunnies and Milland in a sequined suit. Ray Milland in a purple sequined suit must be seen to be believed. I was disappointed that this film ended up being such a mess not making use of the chemistry Rogers and Milland so successfully displayed in The Major and the Minor but I’m glad I saw it because it is a very rare film and I can live to tell the tale. 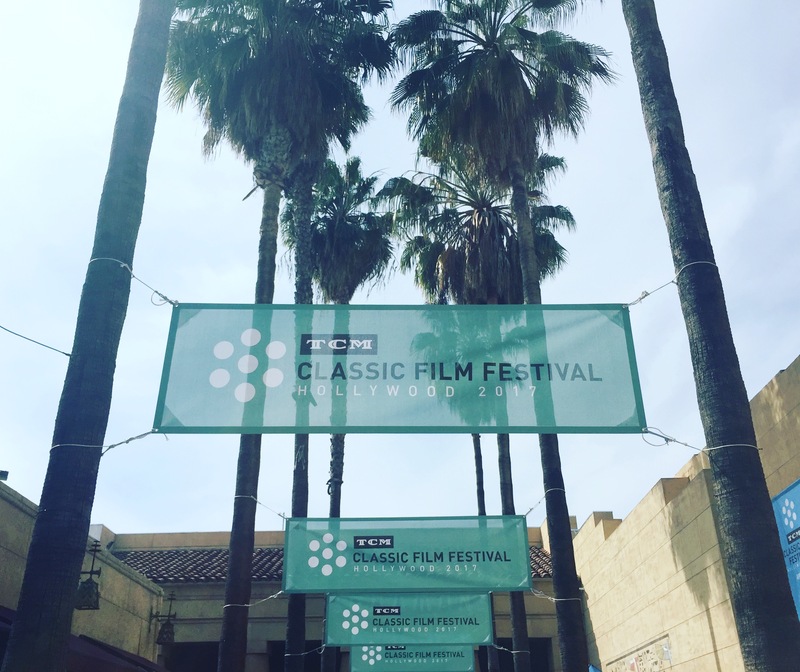 I’ll have more coverage of the 2017 TCM Classic Film Festival in the coming days so stay tuned! I am so envious of you right now. It sure sounds like you had a wonderful time. I wish I was able to go to these festivals(but living in the UK makes that difficult)as they sound incredible. Thank you for sharing your experiences with us. Diana, this was a wonderful read. I’m glad TCM did not disappoint.. As for Maddy, the commenter above, there is NO reason you can’t come. I know two gals from Norway and Sweden who come. Save up your airfare, hotel stay and festival pass money and get your buns over here! I’m so glad you made it this year. 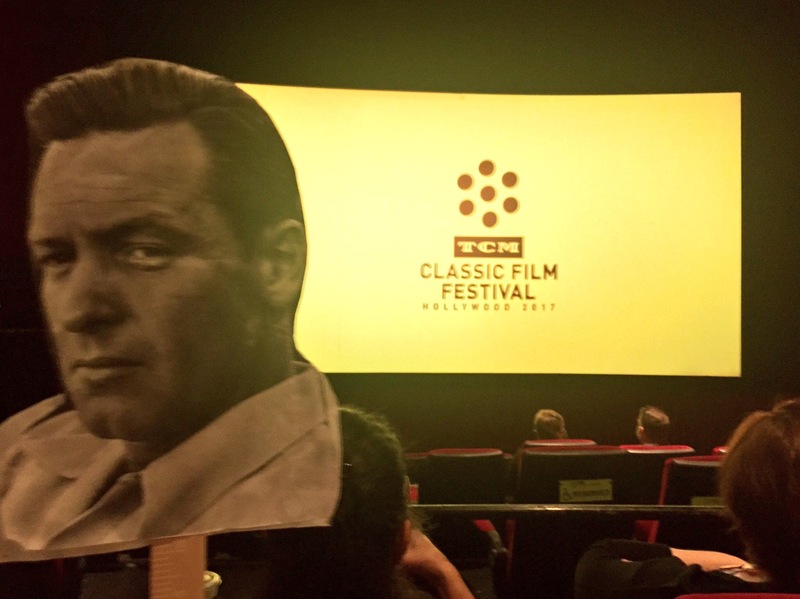 Once you do it, you’re hooked, so I look forward to seeing you as one of the TCMFF regulars. My daughter Jasmine’s favorite film hands down was Born Yesterday. She also really liked Stalag 17. I’m in San Diego, and Beth and Miguel of Film Geeks San Diego often do things like that. A lot of the time, it’s horror, so I’m used to seeing brain-shaped candies and ax-shaped cookies. Beth said, she’s probably going to need to do something like that for the midnight movie at TCMFF next year. I think Zardoz would have been better if it weighed in at 90 minutes rather than 2 hours. I had to skip Lady in the Dark for Speedy. The more I hear the more glad I am that I did.